A Japanese magazine called CoroCoro announced that the squid ink shooting game Splatoon will get its own anime adaption on the magazine's official YouTube channel. The series will start on August 12. 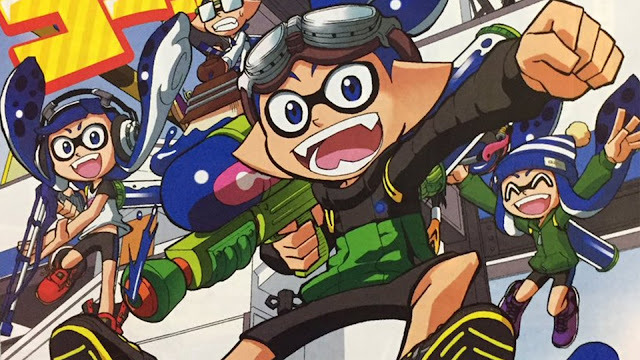 CoroCoro already has a manga mini-comic about Splatoon in its magazine about the inklings in a fun-filled turf war. I realized that this post is pretty short, but there isn't much to say about it anyways. Thanks for reading anyways! Thank you all for over 75 thousand views! Can we reach 80 thousand by the end of the month?